SUSSEX– May 9, 2013 – International volunteer organisation Projects Abroad is pleased to introduce Cebu in the Philippines to their destination list. Volunteers now have the opportunity to partake in Care, Teaching and Medical Projects in this island destination. The Care Projects run in care centres and orphanages with children and teenagers aged from 0 to 18 years of age. The role of the volunteers here is to assist the staff with basic teaching, playing with the children and generally helping out. The Medical Project allows volunteers the chance to gain real, hands-on experience in the medical field by working in local hospitals and health centres. Volunteers will also broaden their medical knowledge by learning about different diseases and illness that are uncommon in the western world. The Teaching Project is run in primary and secondary schools around Cebu where volunteers are able to teach and assist the teacher in English classes as well as extracurricular activities such as art, music and sports. 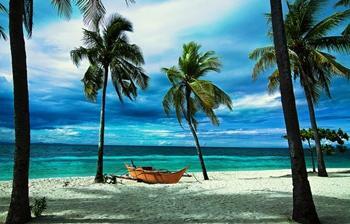 “The Philippines is our newest destination and we’re very excited to receive our first volunteers in June 2013. We are in need of volunteers to work on our Care, Medical and Teaching projects. If you want to work on a very worthwhile project, become embroiled into a rich and diverse culture and also spend time relaxing on some of the most beautiful beaches in the world, then the Philippines is the destination for you.” Greg Thomson, Operations Director of Projects Abroad. Philippines is Projects Abroad’s 28th destination and the ninth in Asia. To date, the organisation has sent over 50,000 volunteers abroad, with 10,000 new volunteers joining each year. Projects Abroad was founded in 1992 by Dr. Peter Slowe, a geography lecturer, as a programme for students to travel and work while taking a break from full-time study. The programme started in Romania, where students were given the chance to teach conversational English. After a few years just sending volunteers to Eastern Europe for teaching, the company expanded to sending volunteers of all ages around the world on a wide range of projects. Projects Abroad is a global leader in short-term international volunteer projects, with programmes in 28 countries and recruitment offices in the UK, Australia, Canada, Denmark, France, Germany, Ireland, Italy, Japan, Holland, Hong Kong, South Africa, South Korea, Sweden and the United States. Go to the Recent Press Releases page.